Welcome to our online exhibit about places to see women’s history in Missouri. Feel free to print out the exhibit and display in your clubhouse for women’s history month or anytime. Click here for a downloadable PDF of the exhibit. 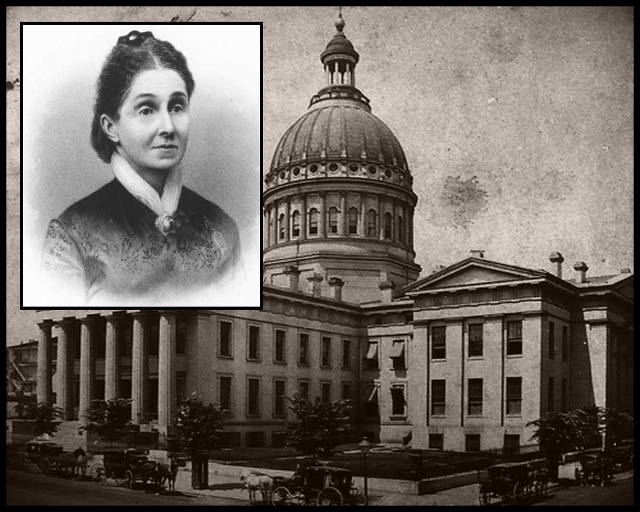 Visit Boonville and pay homage to one of the toughest Missouri women: Hannah Cole. She came to Missouri in 1809 with her husband and 9 kids. She was widowed within the year, but decided to stay and built a cabin that overlooked the Missouri River. Life in Missouri was dangerous during the war of 1812 and Hannah’s house became a fort, providing shelter and a safe supply of water for the settlers. Her house was used as the first County Circuit Court and the first school in Boonville. 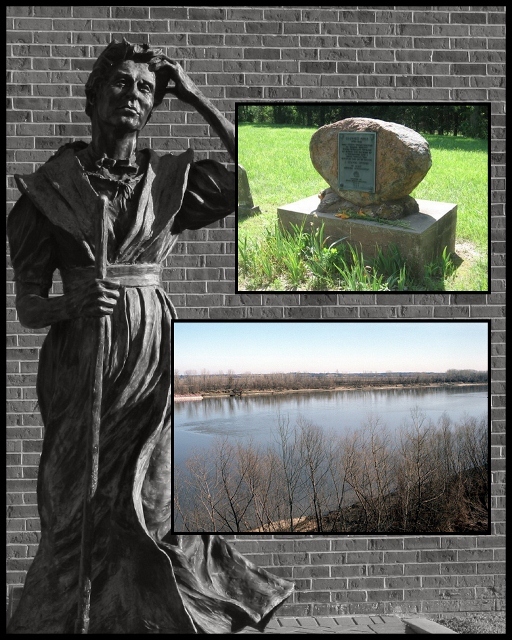 Hannah went into business in 1816 operating a ferry across the river, proving that women could survive and prosper on the frontier. 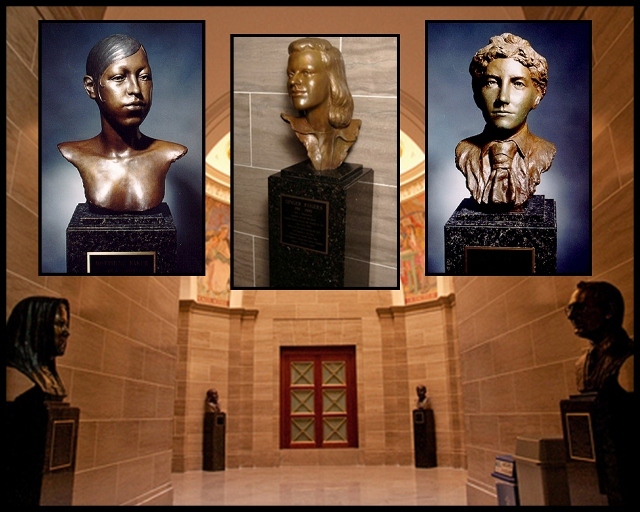 The Missouri State Capitol’s Hall of Famous Missourians includes seven women. Each a pioneer in her own right, three are entertainers (Betty Grable, Ginger Rogers and Josephine Baker), one a writer (Laura Ingalls Wilder), one an explorer (Sacagawea) and two educators (Susan Blow and Saint Rose Duchesne). Educating Missouri’s children was foremost in Rose Duchesne’s mind upon her arrival in Missouri in 1818 and continued until her death in the 1850s. She gave hundreds of children a safe home and survival skills. Susan Blow also impacted hundreds of children’s lives by starting America’s first kindergarten in St. Louis in the 1870s. She made education for young children more affective with techniques still in use today. 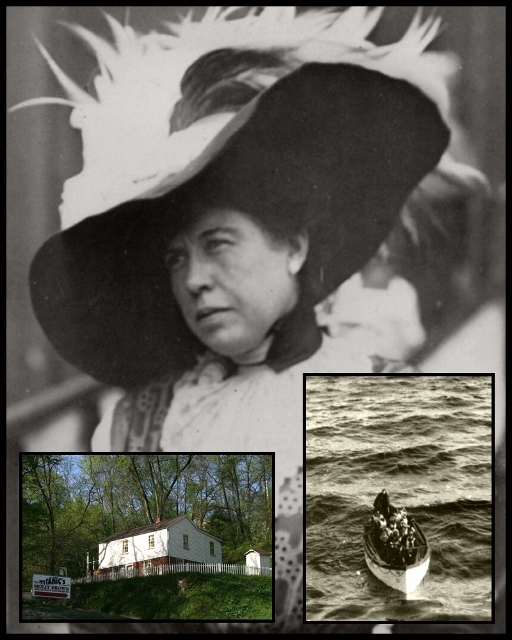 Appreciate the humble beginnings of “Unsinkable” Molly Brown at her childhood home in Hannibal. She grew up in the little white shanty house and spent half of her life dirt poor. Her father worked digging ditches and as soon as she could, Molly was stripping tobacco leaves at the local tobacco factory to help support the family. Molly and her husband struck it rich in the Colorado mines when she was in her thirties. Her new found wealth helped her fight for women’s suffrage, run for US Senate, and establish labor unions. All that experience culminated after the Titanic disaster with her efforts to help survivors who lost everything, she raised thousands of dollars in aid. Stroll along Delmar Boulevard in the University City Loop in St. Louis and you’ll see the names of several of Missouri’s well known women. Among the women who are honored with stars on the city’s Walk of Fame are two entertainers celebrated worldwide. 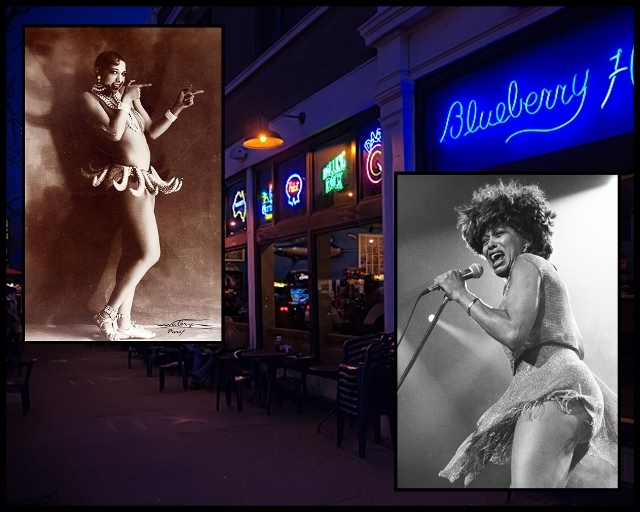 Josephine Baker grew up homeless in turn-of-the-century St. Louis, dancing on street corners for money. But her talent and beauty soon made her a star attraction in St. Louis, New York, and Paris. Anna Mae Bullock came to St. Louis as a teen, which is where she met musician Ike Turner, who became her husband and musical partner. Adopting the name Tina Turner, she is still wowing audiences worldwide. The shootout that catapulted Bonnie & Clyde to stardom happened in Missouri. 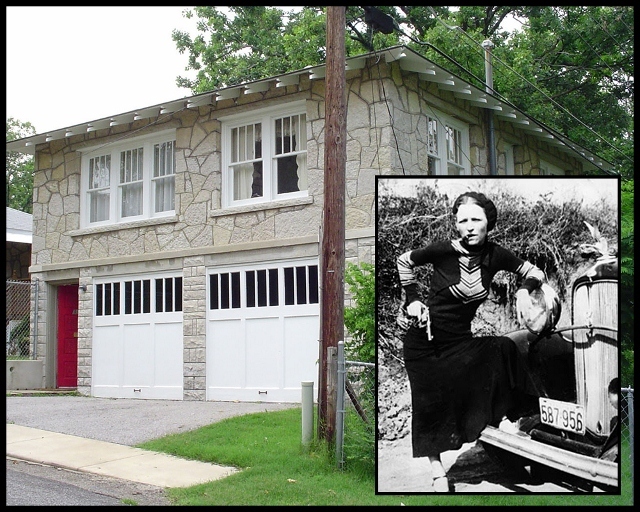 Bonnie Parker and Clyde Barrow were staying in a loft apartment at 3347 1/2 Oak Ridge Drive in Joplin with Buck & Blanche Barrow & W.D. Jones. Virginia Minor attempted to register to vote in 1872. When denied, she argued that the 14th amendment to the constitution guaranteed her the right to vote as a U.S. citizen. When she was further refused, her husband took the voting register to court on her behalf. Their case, Minor vs. Happersett, was heard in the Missouri Circuit Court and the Missouri Supreme Court both in what is today the Old Court House National Historic Site in St. Louis. Virginia lost her case after it was appealed to the U.S. Supreme Court. But her case was a part of a nation-wide civil disobedience movement organized by suffragettes and although Minor died before she had the right to vote, her efforts helped further the cause. 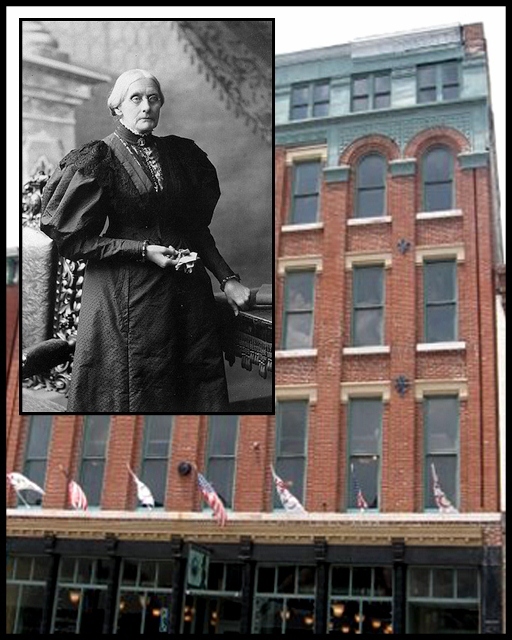 Rogers & Baldwin Hardware Co.
Susan B. Anthony came to Springfield in April 1875 to give a lecture on Social Purity. She spoke in the theater of the Rogers & Baldwin Hardware Company building at 225-227 South Avenue. Anthony argued that women were victims of men’s intemperance, forced into poverty and prostitution because of their constant dependence on men. Her solution for change was women’s suffrage: because when women voted and held office, society as a whole was bound to be much safer for everyone – women being the keepers of the moral fiber of the human race. Check for the building the next time you stroll along South Avenue, today it is on the National Register of Historic Places. Rose O’Neill did more than draw kewpies. She was an illustrator, writer, suffragette, entrepreneur, inventor and philosopher. Visit her 14 room mansion in the Ozarks to fully appreciate the magnitude of her efforts. There you’ll see a reproduction of her house complete with her studio on the top floor where Rose wrote and drew. She was the sole supporter of her large family and divided her time between the Missouri Ozarks and New York City. 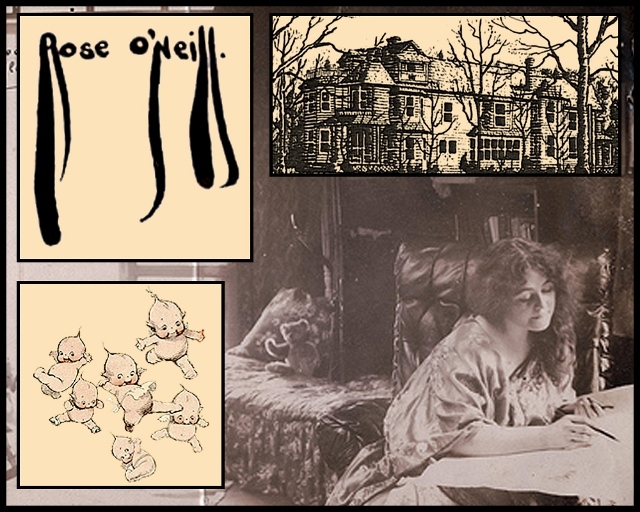 She began work in 1895 as the first female illustrator of Puck magazine. Married and divorced twice before women had the right to vote, Rose O’Neill defined her life on her own terms, an admirable quality. 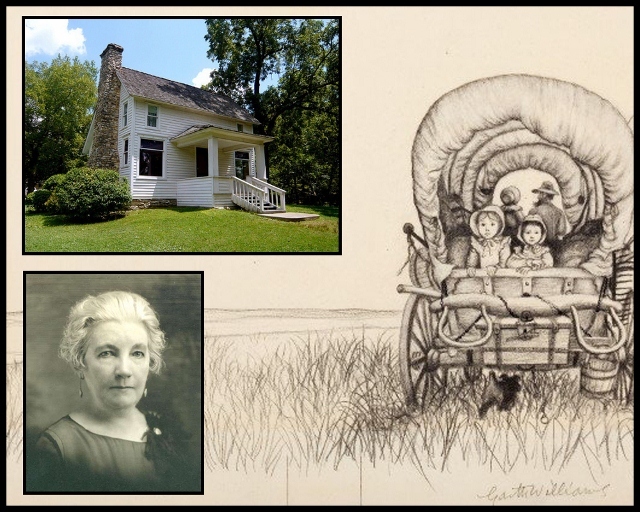 Laura Ingalls Wilder wrote The Little House on the Prairie books at her home near Mansfield, Missouri. The author moved to Missouri in 1894 with her husband and small daughter Rose. Making a farm in the Ozarks backwoods was tough, but Laura and her husband diversified their interests, worked hard and managed to build a successful poultry and dairy farm. Laura Ingalls Wilder started writing short articles for the Missouri Ruralist about her experiences pioneering in Wisconsin, Minnesota and South Dakota. With her daughter Rose Wilder Lane’s help, these short stories grew into several biographical books about her experiences, which continue to inspire elementary age kids worldwide. 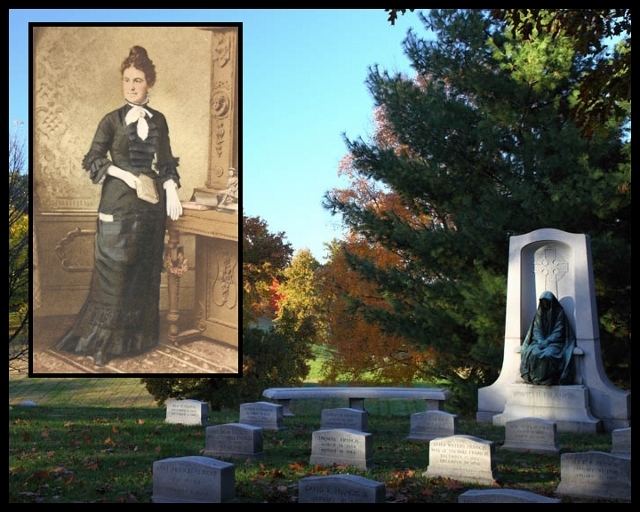 With a wealthy madame, the second female lawyer in the country, numerous suffragettes and a Confederate spy, Bellefontaine Cemetery is the final resting place of several tough and inspiring women. Margaret McClure was the perfect spy for the Confederacy and became such a threat to the Union army during the Civil War that she was banished from the whole state. She was shipped to Mississippi and refused reentry to the state until after the war. Also buried in the cemetery is Adeline Couzins, a Union nurse who petitioned the government for a pension after her service in the Civil War. Her daughter, Phoebe was the second female lawyer in the country and a nationally known suffragette.